I was asked this question on Good Morning West Tn. yesterday morning. We all had some fun talking about working in your garden and gave out some good advice for sure. So this little list is an extension from that for all the folks who didn’t have time to make notes. – Trimming and Pruning! This is a great time of year to get out there and do some trimming.Cut back you Roses, Ornamental Grasses, Perennials, and most Ornamental Shrubs like hollies and boxwoods. Not azaleas yet… Wait until they have bloomed to trim these 🙂 Limb up those trees in the landscape and along the borders too. Many people ask me WHEN to prune their Crape Myrtles, IF you haven’t already, do it now – It’s time! 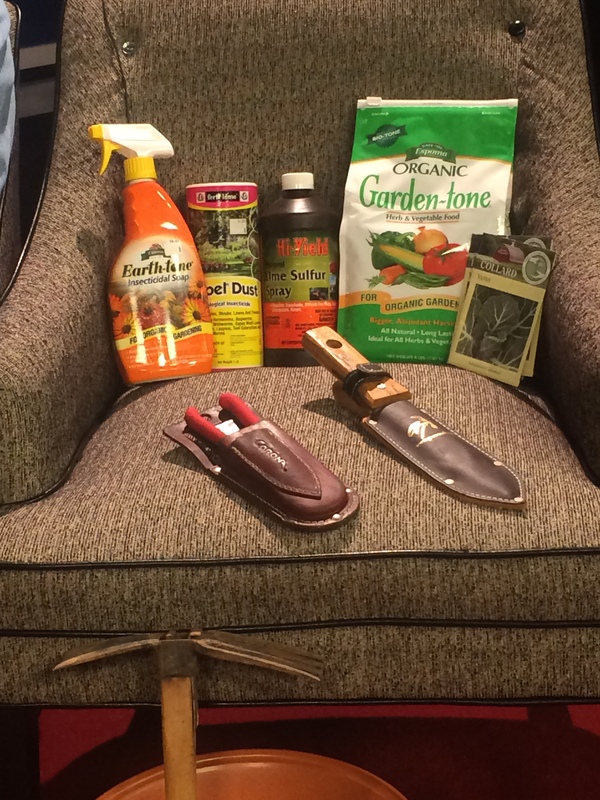 Pruning tools and organic products are your friends in the garden. 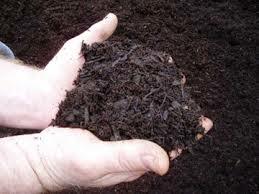 We have bulk Mulch, Top Soil, Potting Soil & more at Carters Nursery, Pond & Patio in Jackson, Tn. 38305. 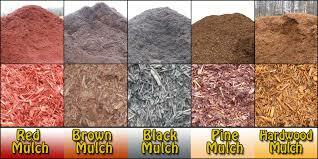 We carry Hardwood Bark Mulch for your flower beds. 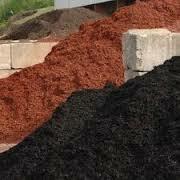 Our mulch is top quality, screened and aged well. Top quality Mulch! 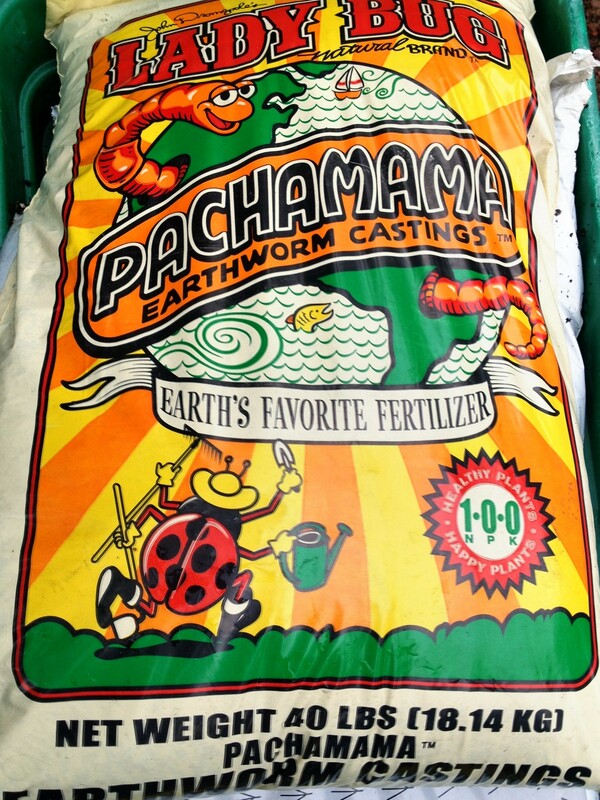 Organic Gardening Supplies and a full line of soils amendment’s are in stock now. We carry only the best brands of Organic amendments and supplies like – Aged chicken manure, aged cow manure, organic earthworm castings, cotton burr compost, aged mushroom compost and a complete line of organic fertilizers & pest control products like insecticidal soap, milky spore, dormant oil, neem oil, organic fungicide & organic 3 in 1 spray. Get ready for SPRING with Carters Nursery, Pond & Patio. We have several different types of bulk mulch as well as bulk stone, bulk cobble stone, bulk gravel, sand & good bulk topsoil! *A complete line of Organic Gardening Supplies at Carters Nursery Pond & Patio, Jackson Tn. 38305. Help for your Lake, Pond and Water Garden! We have many customers who have a Farm Pond, Lake or Retention Pond as well as a backyard Water Garden. I have been limited on the products that we carry to help with larger bodies of water like Lakes or Farm/Retention Ponds until now. By popular demand from our customers we are now carrying a complete line of Lake and Pond management Water Treatments & Sub-surface Aeration systems! These treatments are easy to apply and work great and the Aeration systems are high quality and install so easily. Sub-surface aeration: By aerating your pond from the bottom up, using Airmax® Aeration Systems, you’ll circulate incredible amounts of water, drastically increasing the dissolved oxygen levels in your water column, which in turn will allow for increased levels of beneficial bacteria to accumulate in your pond. Bacteria augmentation: Naturally occurring beneficial bacteria begin to colonize in most natural ponds when water temperatures reach approximately 50 degrees Fahrenheit. During early stages of a pond’s life cycle this may be enough to maintain a healthy ecosystem although as a pond gets older, especially when chemical applications are needed, it is necessary to start thinking proactively to subsidize Mother Nature’s efforts. The PROACTIVE Care solution? Add Pond Logic® PondClear™ and MuckAway™ natural bacteria to radically increase your bacteria count. The billions of PondClear™ specialized microbes will compete for the nutrients in your water column while the MuckAway™ sinking pellets send billions of microbes to the bottom of your pond, working quickly to eliminate up to 5” of muck each season, as well as prevent future build up. Pond Shading: Excessive sunlight can have a negative effect on water quality. Adding one of the Pond Logic® Pond Dyes will beautify your pond and provide a natural shade while improving water quality. By exercising PROACTIVE Care (Sub-surface Aeration, Bacteria Augmentation and Pond Shading), you’ll be aggressively addressing the root of the problem – excess nutrients and sunlight. Give PROACTIVE Care a try… you have nothing to lose – other than nutrients and muck! We GURANTEE you will be happier with the results! With the use of Natural Bacteria and/or Pond Dyes, you can get to the source of common pond problems; excessive nutrients in the water column and the muck at the bottom of the pond. By being proactive and providing microbial competition for the nutrients, you can make maintain a healthy pond for all, including the fish, to enjoy. Chemical Treatments are sometimes necessary as a management tool. The more mature a pond is, the more you have to deal with aquatic weeds and algae. They not only can be annoying, but they can choke the life out of any delicate ecosystem if proper action isn’t taken. 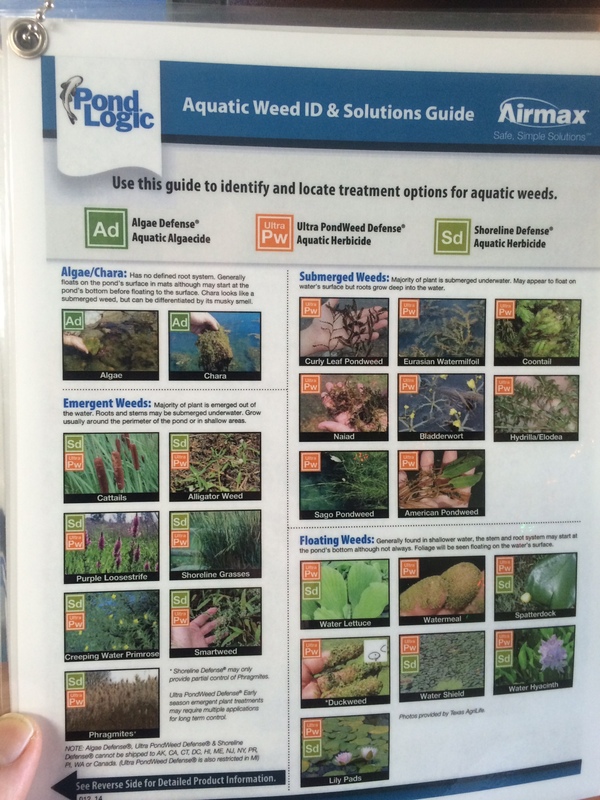 Successful aquatic weed control starts with proper identification. The more mature a pond is, the more you have to deal with aquatic weeds and algae. They not only can be annoying, but they can choke the life out of any delicate ecosystem if proper action isn’t taken. Identification is the absolute key to success in controlling aquatic weeds and algae. We’ve had many cases when Chara, which is a form of algae, was mistaken for a pond weed. Many people confuse duckweed and watermeal with floating algae. Both look like floating mats on the pond’s surface, but they are treated very differently. If you are ever in doubt about the type(s) of aquatic weeds or algae you have present in your pond, don’t hesitate to pick up the phone and call us at 731-424-2206. We are here for your support, and will help you to identify your weeds and give you a solution. Once we’ve identified the aquatic weed(s) or algae it’s time to find a solution to get rid of the problem. Carters Nursery carries a wide array of chemicals for controlling your aquatic nuisance species. A pond that is clean, clear, and healthy is an excellent place to relax by, swim in, and fish. The whole family can get involved in learning about aquatic ecosystems in this great outdoor classroom. All it takes is to Identify, Eradicate & Enjoy. We have professional quality aeration systems specifically designed for ALL Lakes & Ponds! From shallow water ponds to larger, deeper water lakes we got you covered. Our powerful aeration systems are the quietest, most efficient & easiest to install available on the market period! You will notice the improvement in water quality almost immediately. We still have the largest selection of Koi Pond & Water Garden Supplies available in the area. 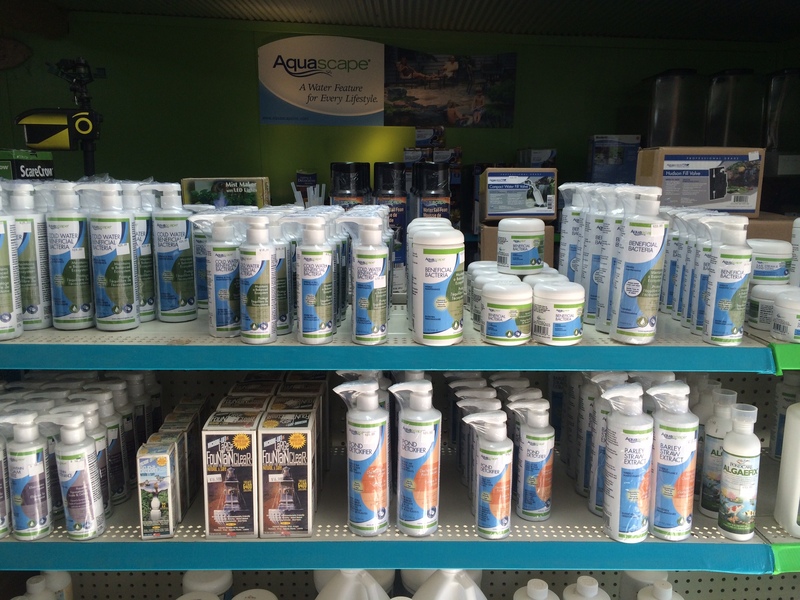 We proudly stock the best of the best in water treatments featuring a full line of Aquascape products! Come on by the showroom and check out our displays or give us a call with your questions. It’s time to get control of that problem Pond or Lake now! Call 731-424-2206.